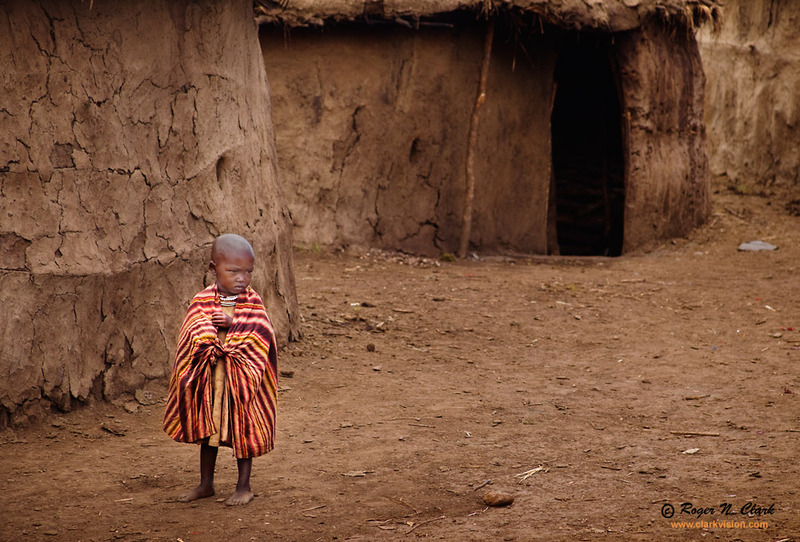 A Masai child in her native village. Tanzania, Ngorongoro Conservation Area. Technical. Canon 5D Mark II 21-megapixel camera, 28-135 IS lens at 135 mm, f/6.3, 1/500 second, ISO 400, aperture priority, meter -2/3 stop.